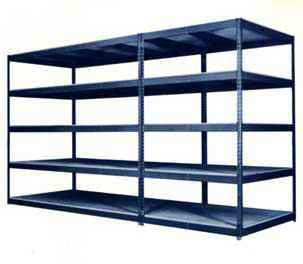 Our Low Profile shelving series gives the user the lowest cost multi level shelving available! 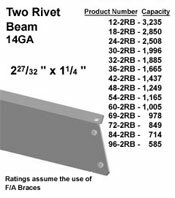 Using standard Rivet Beams and configuration for top and bottom levels the Low Profile series adds the levels in between using a front and back beam that is only 1 3/8 inch thick. 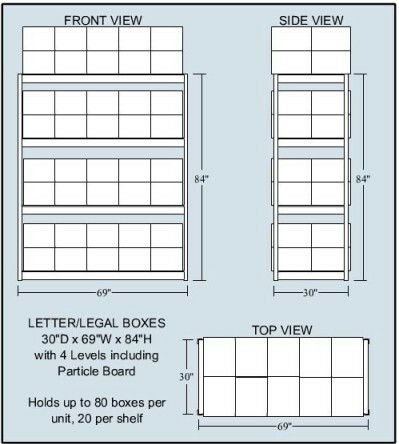 This allows more room for material to be stored on a standard height unit. 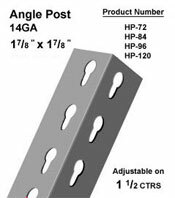 Low Profile series is available in widths of 36 inch, 42 inch, and 48 inch with depths up to 24 inch. Our standard decking for both styles is 5/8” particle board. This is optional, should the customer want to cut shipping costs and buy the decking locally or want to use another type of decking. Our shelving begins with high strength steel ( 50,000 psi test ) cold rolled to your specified dimension. Shelving components are formed to shape in presses, which are capable of managing 150 tons of pressure. From there, the shelving components are put thru a three-stage washing process at the start of our modern powder coating line. After washing, these components are then oven dried and sent thru our Nordsen powdercoat spray booth where environmentally friendly powder coating is electrostatically applied. At this point the shelving components go to our curing oven where they remain for a very precise amount of time in order to allow the coating to bond to the shelving components. This finish is highly resistant to scratching, fading, peeling. 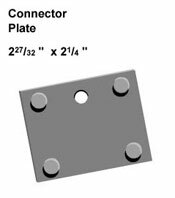 At Dixie Shelving, we maintain a considerable inventory of shelving components. Our goal is to ship orders the same or next day. Our manufacturing process allows for quick turn around to build additional material for large orders. Our excellent reputation is built on satisfying our customers. Top quality products, friendly staff, and many years of experience in the shelving industry guarantee your complete satisfaction. Please contact us at (713) 957-1111 with any questions you have about DIXIE WIDESPAN. * Widespan Beams are made of high strength steel using two-piece construction. 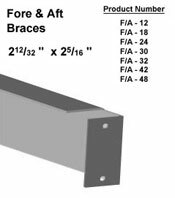 * Rated capacities assume the use of F/A Braces. 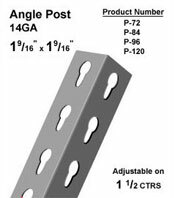 One F/A for 48", 54" and 60" lengths and three (3) F/A Braces for 69", 72", 84" and 96" lengths. 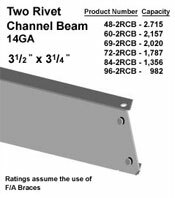 Level rating capacities are based on the longest beam on the specific level. Thank you for visiting the official Dixie Shelving company website! We look forward to continuing to meet your needs for yet another 50 plus years and counting!